Fortnite’s release can only be described as explosive: whether you play it or not, you’ve most likely heard of the cultural phenomenon. In less than six months, it became one of the most popular video games in the world. Everyone, from middle schoolers to frat bros, is downloading the free game, playing the “Battle Royale” game mode for countless hours and spending cash on in-game rewards. 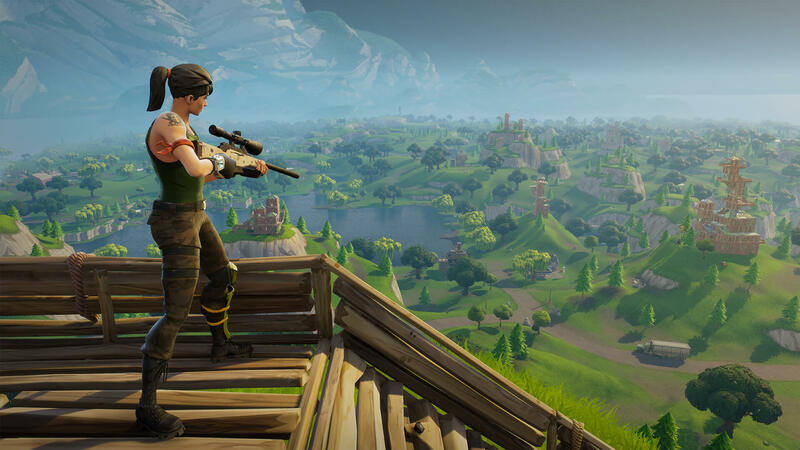 In its first nine months, Fortnite attracted 125 million players, earning over $1 million in revenue per day. With over 60% of all players between 14 and 24 years old, Fortnite has successfully captured the attention of Millennials and Gen Zers. Its secret? Familiarity. Fortnite is not a unique game, but rather an amalgam of its predecessors. Its similarities to PlayerUnknown’s Battlegrounds, also known as PUBG, even resulted in a lawsuit; PUBG claimed it was an intellectual property infringement but ultimately dropped the lawsuit. Yet somehow, Fornite has risen above its competitors. How did it capture the attention of millions worldwide? In short, it was the perfect combination of several factors. For one, Fortnite’s monetization strategy is tailored to Millenials and Gen Zers. Users can play the famous “Battle Royale” game mode without paying a single cent. From there, users may buy a subscription named the “Battle Pass,” allowing them to unlock new outfits through challenges. This Battle Pass makes the game more gratifying, giving players access to new goals and achievements. Importantly, there is no in-game advantage to having different outfits. We spoke to Serhiy, 19, who explained that, “even though the outfits don’t make me better, it's fun to unlock them. Honestly, it's pretty rewarding for all the time I put in.” And if players get impatient, they can always buy in-game currency (V-bucks) to directly unlock outfits. This payment model allows users to join the Fortnite community for free. Over time, players begin to value the game more and more until the $9.99 seems worthwhile. As Tom, 19, put it, “I’m playing it all the time anyway, so [paying] the ten dollars to make the game better was worth it.” With no initial cost barriers, Fortnite easily attracts users, and once they are hooked, players will go out of their way to enhance their experience. The second, and probably more important, factor is the game’s ubiquity on social media. Even the game itself is a part of social media. Players compete against random strangers, friends, or a combination of the two. If they have a microphone, users can use it to speak with their allies and enemies. And if they don’t, their avatar can communicate through emotes (dances and hand motions). And Fortnite’s social media presence doesn’t stop at gameplay. Fortnite content even follows a user once they finish playing—the game is plastered over Facebook, Instagram, YouTube, Twitter, and more. Users post game highlights, commentary, and live videos of professional Fortnight players and celebrities. For example, Ninja, a Fortnite professional and overnight celebrity, posted hour long videos of him playing with Drake—yes, that Drake. When people aren’t playing Fortnite, they’re watching it. When I woke up this morning and opened up Instagram, a Fortnite video was staring me in the face. Carter, 22, said “it’s honestly so addicting; on Instagram if I look at one Fortnite video I end up accidentally spending an hour.” If you don’t believe me, look at the statistics. In May 2017, the month before Fortnite’s release, Ninja had 1,227,592 video views. In May 2018, he had 43,597,439 video views. During this time, he also gained over a million subscribers on Twitch, breaking all of Twitch’s subscription records. His Instagram currently has over 8 million followers, while his YouTube channel has 15 million subscribers. Fortnite has become a social media sensation, extending the game’s reach beyond the console. Fortnite has done an incredible job at listening to user feedback and updating the game accordingly. Since its release, Fortnite has updated itself at least once weekly. These updates include bug fixes, new challenges for Battle Pass users, additional playable content, or simple “easter eggs” to reward dedicated fans. Not only do these updates fix all of the issues the community brings up, but they minimize player fatigue. If the game constantly changes, players don’t feel burnt out. Every week, they can check in and discover new features and exciting changes to the terrain. These updates also create a sense of unity between the development team and the user base. Many companies have a large disconnect between players and developers; Epic Games has created a great relationship with their users, however, by actively scouring social media to see what the users want. Epic Games attempts to releases content that endears them to their user base. For example, when Avengers: Infinity War came out, Epic Games added a new temporary game mode where players could actually play as Thanos. In an even smaller scale, I would recommend watching these two videos (video 1 and video 2). Epic Games’ understanding of the current media landscape turned out to be the key to their success. Their mobile app-style monetization strategy to help them gain a user base without alienating players and took advantage of an ever-present and all-encompassing social media culture—all while initiating constant updates that focused on new content to keep the game exciting to users who had been with them from the beginning. ‍© 2018 Campus Insights LLC, All rights reserved.